Dangling from their ropes and carabiners, ice on their goggles and crampons, breath freezing in the thin air, daredevil mountaineers get to see the Alpine summits up close, high in the snow-dusted crags thousands of feet above the tiny towns. Surprisingly, you don’t need to be a mountaineer to see all this. Instead you can do it from the comfort of a modern train. Normal trains can’t go up mountains, but the world-famous Glacier and Bernina Express trains take you on a rollercoaster ride up and down ridges and high arêtes, over tall viaducts bridging huge chasms, through serpentine tunnels and corkscrew loops that cross and recross themselves, rising and falling on inclines so steep that the trains use rack-and-pinion locking wheels to stay on the rails. With Omega’s Glacier Express Swiss break you stay in Klosters, near Davos, in eastern Switzerland, and you get a handy Summer Activity Card with free use of all the Klosters/Davos cable cars, which gives you access to around 700km of marked hiking footpaths and can take you up the famous Schatzalp, Thomas Mann’s ‘Magic Mountain’ and site of a botanical garden. 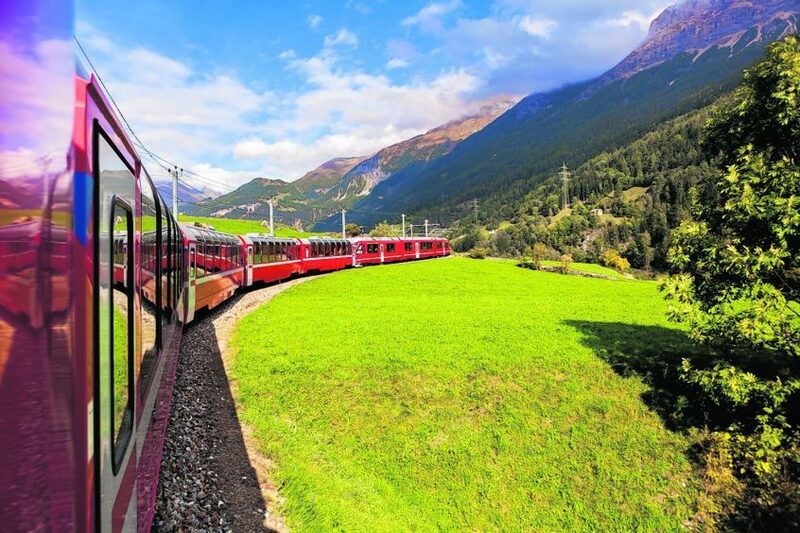 The card also lets you take the rail line to Davos and Filisur, which is worth doing because it crosses the famous 200ft high Landwasser viaduct and stops at Monstein, a mountain village and home to Europe’s highest brewery. The highlight excursion is of course the Glacier Express. You board at Chur and then the train climbs through pastures and woodland up to a white Benedictine abbey at Disentis. There are two stretches, well above the tree line, where rack and pinion engage before the track winds past the mountain lake of Oberalpsee to the 6,670ft Oberalp Pass, then descends 2,000ft through two enormous rack-equipped loops to Andermatt. The name ‘Express’ is rather a misnomer as the whole run to Zermatt takes 10 hours, so instead you come off at Andermatt for a visit to the pretty town of Lucerne and a boat cruise on the lake. 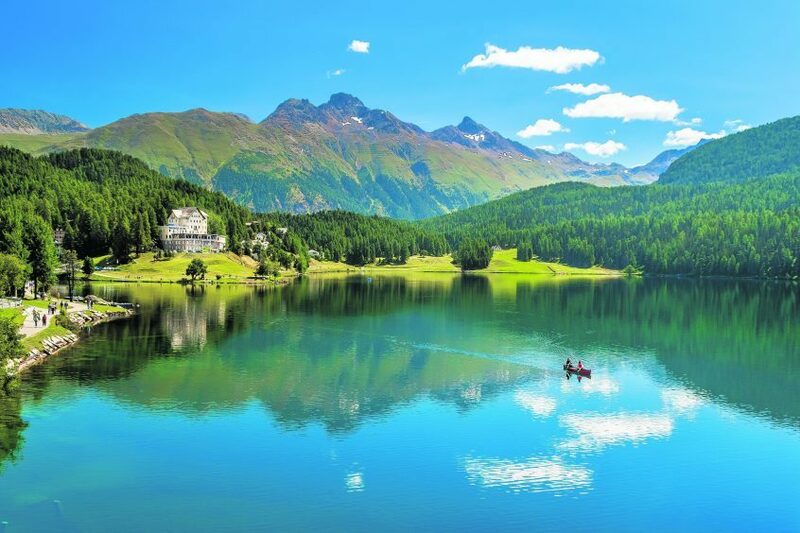 A separate excursion follows the Bernina mountain railway from Pontresina (5,820ft) via the Bernina Pass and Ospizio Bernina station (7,391ft), past the lake and glacier of Piz Palü, to the Swiss-Italian town of Poschiavo. If all that’s not dizzying enough, you even get to mix with high society in chic St Moritz (5,624ft). As every Swiss patriot knows, Lucerne is William Tell country, and Omega’s William Tell tour takes you on a rail line named after the Swiss folk hero. 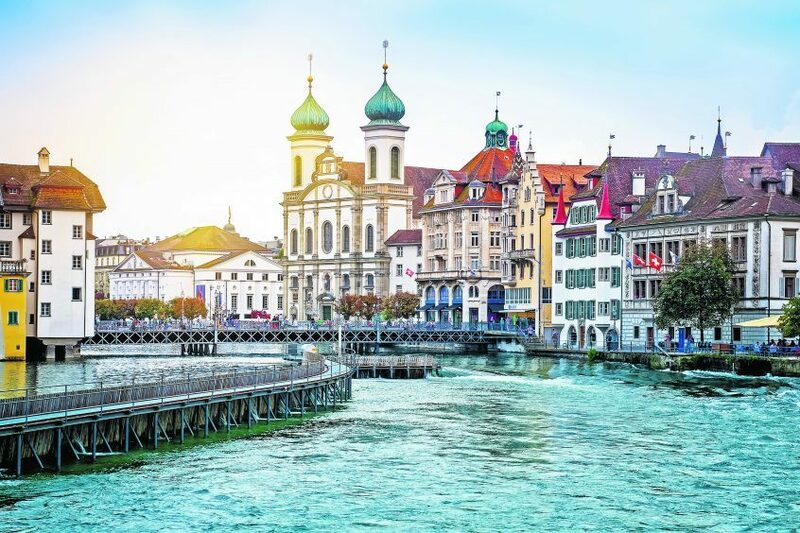 You get a walking tour in Lucerne with a paddle-steamer cruise on the lake, and a visit to a 200-year-old glassworks. Interlaken is worth a visit as is mediaeval and unique Bellinzona, which has three castles. A ride up the Harderbahn funicular takes you for a summit lunch and a matchless view of three famous giants, Mönch (13,474 ft), Jungfrau (13,642 ft) and Eiger (13,020ft), while if weather permits a funicular ride up the Stanserhorn will let you see as far as Alsace. 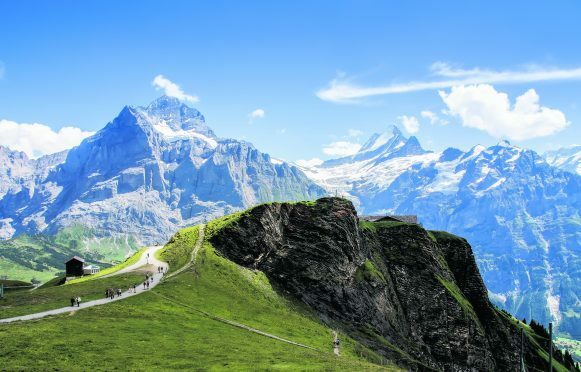 If the mountains are the stars in Switzerland, in summertime Austria is an ensemble performance of gorgeous landscapes, huge charm, and a bit of quirkiness. Omega’s Austria breaks offer loads of hiking and walking options, and three bases to choose from. 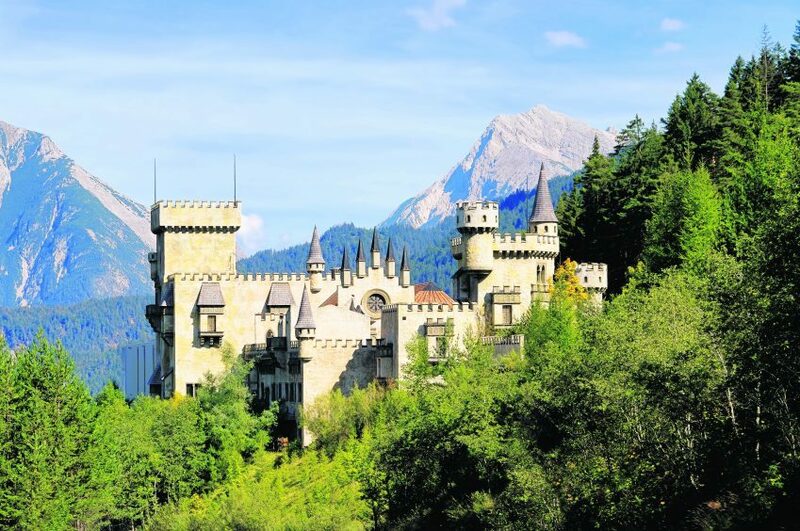 At St Anton or Lech you get a cruise on Lake Constance and a visit to Bavaria’s Lindau island, plus time to explore the famously frescoed village of Oberammergau and the wonderfully wacky Linderhof Castle. 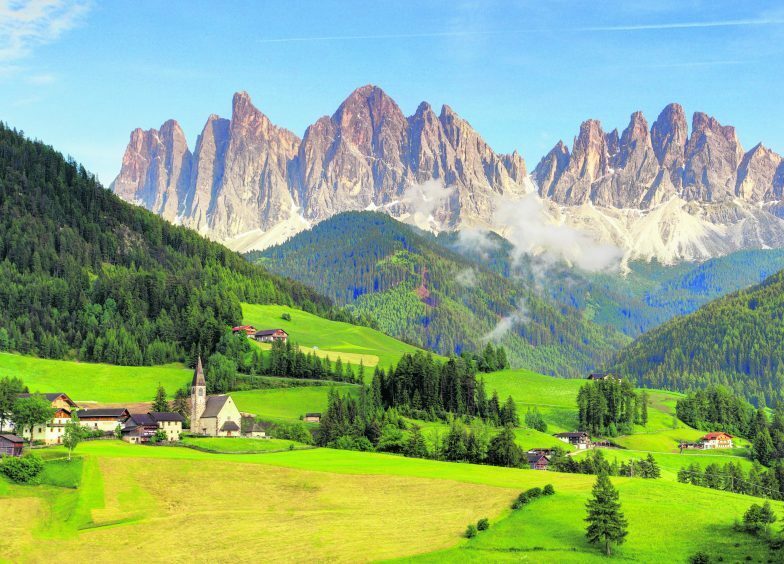 At Seefeld there’s a steam railway excursion and a Dolomite tour, and a chance to see the celebrated 5,000 year-old Ötzi the Iceman at Bolzano Museum. There’s a no-excursion Seefeld deal too, if you want to do your own thing. 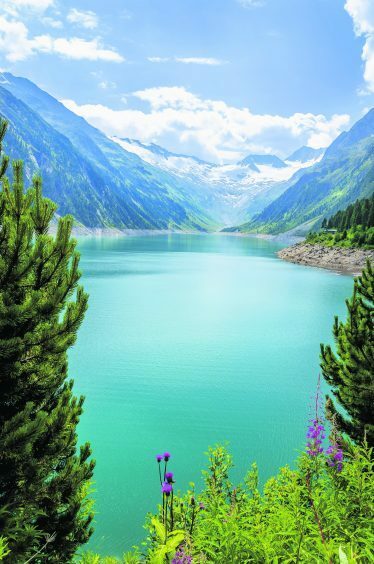 All in all, Europe’s loftiest landscape makes a terrific Omega summertime break – scented meadows, crystal lakes and waterfalls, lovely Alpine hotels, glacier fresh beer, sky-scraping peaks – and only two and a half hours from Aberdeen!